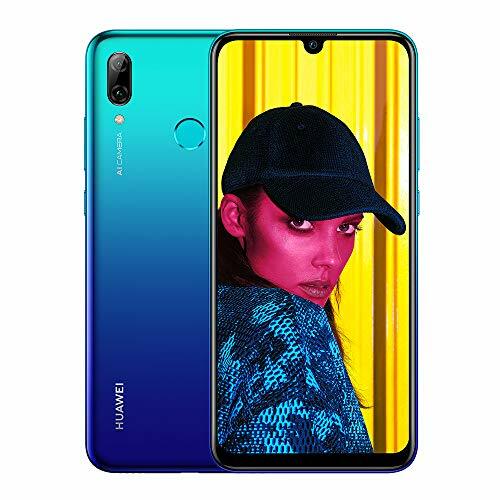 Following my review of the excellent Honor 10 Lite, is the Huawei P Smart 2019, with the two devices being so similar I could probably copy and paste most of the review. The most notable difference here is the slightly lower specced selfie camera, but don’t let that put you off, this is just as good as the Honor 10 Lite, and my recommendation would be to buy the phone that is the cheapest either on contract or SIM-free. Both phones have an RRP of £199 at the moment there is not a huge amount of discount available for either, due to them being so new, but at the time of writing Amazon has this at £186.96. Alternative Three has contracts starting at £19 upfront with £15pcm for 500MB of data. Or if you actually plan on using data on the phone there are options with the same upfront cost and 4GB of data for £20pcm or 12GB for £23pcm. Battery: 3,400mAh, 5V/2A charging (no Huawei SuperCharge). This phone has had had a significant upgrade since the Huawei P smart I reviewed last year. The most noticeable difference is the size of the screen which has gone up from 5.65 inches to 6.21 inches, so you get over half an inch more screen, but it only adds 0.2-inches (5mm) to the height and 0.05 inches (1.3mm) to the width. This is thanks to the full-screen display with a dewdrop notch, compared to last year with its slim side-bezels but the relatively thick top and bottom. This results in a screen resolution of 1080 x 2340 pixels with an aspect ratio of 19.5:9 and 415 ppi density, compared to 1080 x 2160 pixels with 18:9 ratio and 427 ppi density. A tiny drop in pixel density but nothing that you would notice. The phone now achieves an 83% screen to body ratio compared to 76% of the older phone. You do have to put up with the small notch now, but it is small enough not to cause any issues, and only the fussiest of people will moan about it. The phone features the Hisilicon Kirin 710 chipset which sits a bit below the flagship 980 while still offering superb performance and delivering premium features such as AI. In comparison to last years model this is a significant upgrade using Cortex A73 and A53 cores on the 12nm fabrication process, compared to all A53 but with two different clock speeds across the 4×4 configuration. Similarly the GPU has been bumped up to Mali-G51 MP4 from Mali-T830 MP2. It is then complemented by 3GB of RAM and 64GB of storage which is upgradable via microSD. This provides a good balance between affordability and performance. The rear camera is 13MP and has a wide f/1.8 aperture with phase detection autofocus, and the front camera is a 8MP lens with a narrower f/2.0 opening. There is no optical image stabilisation. This includes the 3,400mAh battery, which is a 13% increase from last years 3,000mAH battery. You also get a 3.5mm jack and NFC. The model I received is the Aurora Blue colour which is a two-tone metallic blue and green. It is a more attractive colourway than the Black I had with the Honor, but in reality, if I were not sending the phone back, I would be covering it in a rubber case. It is worth noting that this does not include a free rubber case, unlike the Honor. 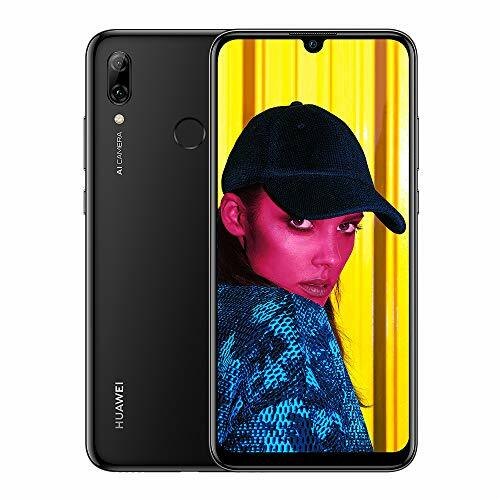 You can’t fault Huawei on the design of this phone, for £199 you are getting a great looking phone, in particular, the dewdrop or water drop notch and edge to edge display gives this the looks of a phone three times its cost. It does, however, use a plastic body which I don’t personally have an issue with, it is less likely to smash than a glass rear. The rear of the phone is laid out almost the same as the Honor. However, the camera lens is covered up with one piece of plastic rather than two separate units. As with the last review, this also uses microUSB for charging and possibly the worst part of the phone. The target audience of this phone may not notice the difference, but with the shift towards USB-C in recent years, I would expect a 2019 phone to feature it. You still get a 3.5mm jack at the base of the phone so you have the option to use cheap headphones compared to Bluetooth. The SIM tray is a dual design that accepts two nano-SIMS, or a nano-SIM and a microSD card. The P Smart 2019 is equipped with a 6.21-inch IPS display with a dewdrop notch in the middle. It's got a tall aspect ratio of 19.5:9 and a 2340x1080px resolution for a pixel density. The screen is capable of over 430 nits of brightness making it slightly less bright than the P Smart from last year, but it still provides adequate brightness for outside use. The small notch is far less obtrusive than many of the phones we saw last year, and most recently on the similarly priced Xiaomi Mi A2 Lite. You can alter the screen settings to be in normal or vivid mode, with vivid increasing the peak brightness making colours pop. You can then further alter this by setting the screen temperature to warm or cold. As with all Huawei phones this comes with EMUI, I think more people hate it than love it, but I have no strong feelings. It does what it is supposed to and it does it without glitches so I am happy with it. This does come with Android Pie as well as the latest version of EMUI, and I find Huawei quite good with software updates. My old Mate 10 Pro is now on Pie, and both the review samples I have received have had security updates since using them. The camera app with EMUI is quite good, not that I am an expert on camera apps, but there is a wide range of features. In particular, the night mode is useful for low light photography, and there is a decent amount of edition options within the gallery. The phone uses the Kirin 710 chipset, combined with 3GB of RAM and 64GB storage. The chipset packs an octa-core CPU in a 4+4 configuration – 4 big 2.2 GHz Cortex-A73 cores and 4 smaller 1.7 GHz Cortex-A53 cores. The GPU is Mali-G51 MP4. In Antutu it achieved a score of 132286 putting it a little behind what the Mate 20 Lite is able to achieve, and this is likely due to the lower RAM. In real life, this means the phone performs well all around, for day to day use there is never any lagginess with general applications such as social media, web browsing and messaging. Similarly for photos, I found the application quick to load and no obvious shutter lag. It is more than adequate for most gaming needs too, being able to handle premium and graphically intense gamers. In general, it performed about as well as the Honor, with the only occasional slow down when I switched out of a game and back in. The battery has been bumped up from the model I reviewed last year and it now features a 3,400mAh battery instead of 3,000mAh. Combining this was the power efficient Kirin 710 allows the phone to achieve a days’ worth of use comfortably. The 5V/2A charger is far from the fastest on the market but you can go from flat to full in under two hours. It is the short charge times that maybe a little uninspiring with a roughly 30-minute charge getting well under 50% battery. Exactly like the Honor, the camera on the Huawei is great under ideal conditions but can falter with low light, and the lack of image stabilisation can cause problems too, especially with video. The selfie camera is slightly lower specced than the Honor, and this is worth noting if you are particularly fond of taking selfies. I am not. Within the photo app you have a choice to use AI mode, this will use the AI to detect what you are taking photos of and automatically adjust the settings to get the best from the shot. Photography experts may not be happy with the results but I think the average person will appreciate it, I certainly do. If you are a pro photographer, I doubt you are looking to use this as a camera phone anyway. With video things can be a bit wobbly due to the lack of image stabilisation, made more by my shaky hands. My opinion of this phone is exactly the same as the Honor 10 Lite, they are both superb budget phones and I think they will be two of the best options for the year. This builds on last years model too, with a major improvement in processing power and AI abilities combined with a significantly improved design. It does falter with the camera especially when you compare it to the likes of the Mate 20 Pro or the newly released Honor View 20 so you will have to weigh up the needs of taking great photos and paying 150% more for the View 20 or 300% more for the Mate 20 Pro. At the moment there are no Snapdragon 675 based phones in the UK yet and this could shake up the budget market a bit, but it is dependant on pricing. For the time being, these Kirin 710 based phones offer the best performance for your money in my opinion. In general, this does everything you want a phone too, and for most people, there is really no point spending £500+ when this does the same things you are going to do anyway. I love the look of the phone, and the inclusion of NFC for Google Pay makes it a much better buy of the Xiaomi Mi A2 Lite.